Is Retail Facing Tectonic Upheaval? 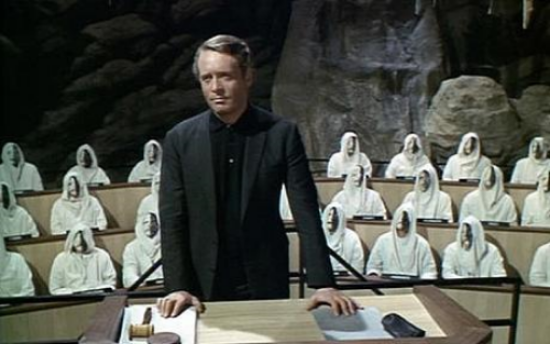 That defiant declaration was enshrined in pop culture in the late 1960s, courtesy of the British cult TV series The Prisoner and its main character, Number Six, played by Patrick McGoohan. The show was remade as a miniseries that aired in 2009. He prophesied an era of “massive customization.” It will transcend, according to Stephens, the accelerating adoption of mass customization in which consumers partly customize mass-produced goods to meet their individual preferences and aesthetic tastes. Nearly 1,000 companies offering limited customization, representing 17 industry sectors, are listed here. “The primary reason I see this change moving faster than anything previous to it, is that unlike past revolutions, we are no longer bounded by the pace of industrial capacity. And this is what is freaking so many businesses out right now. We are, in essence, leaving the industrial era which tended to be very incremental and predictable in terms of growth and entering the digital era, which as we all know only too well, is exponential and tangential in nature. If such sweeping changes indeed happen, marketers will have to rethink mass-categorizing consumers into broad niches based on demographics and income. In the dark fictional world of the The Prisoner, McGoohan’s Number Six repeatedly asked, “Who is Number One”? In the real and brighter world Stephens envisions, there is no mystery. The advent of massive customization means each of us will be free, free to buy whatever we want and the precise way we want it. Each of us will be Number One. Or to use Stephens’ marketing parlance for the future of retail, our own unique Segment of One.